Golden Needle Quilting - Helping you turn your pieced tops into quilts! Hello! Welcome to Golden Needle Quilting! Grab a cup of coffee and take a look around. Quilting will be the main topic but I’ll add some personal things here and there, the things that make me tick. Faith, family, friends and of course quilting! The Bare Bones – 4 tools every quilter must have to make a quilt. 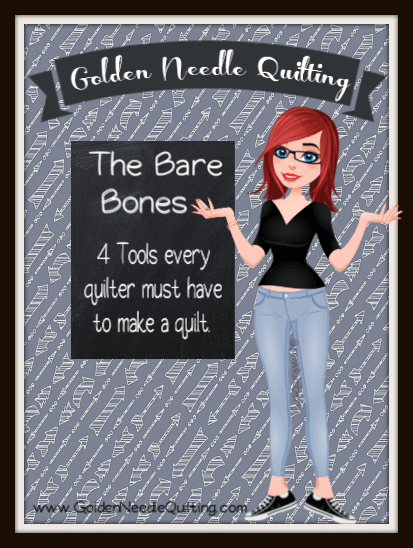 … [Read More...] about The Bare Bones – 4 tools every quilter must have to make a quilt. 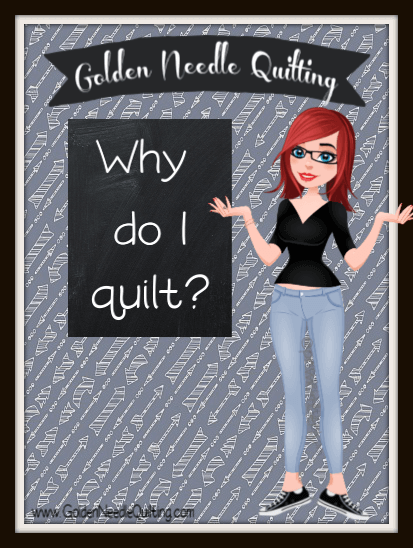 … [Read More...] about Why do I quilt?